After definitively losing the smartphones war a few years ago, Microsoft has long since decided where to stand in this area. Everyone could bet, maybe with a Caesars casino bonus code, that the choice would fall on Android and the convergence between Google’s operating system and the Redmond-based multinational is about to grow further. 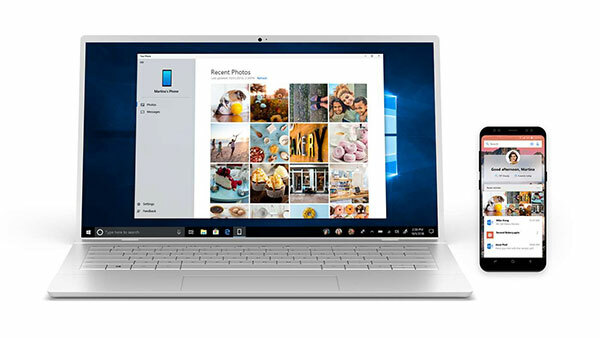 Microsoft has in fact begun to test an important new update of the Your Phone app that will allow Windows 10 users to mirror the screen of an Android smartphone directly on their computer. The function called “phone screen” was highly anticipated and the Microsoft had already anticipated its arrival by showing a demo at the last Surface event in October. As expected, the app will allow mirroring the smartphone screen on PCs and will also provide a list of all Android applications available. By starting them from the Your Phone app, you can manage their operation by viewing the results through the smartphone display that will appear on the PC screen. Smartphones and PCs will communicate via Bluetooth and you will need devices that support both Bluetooth BLE and low power consumption. This means that, at least at the beginning, only a few PCs will be compatible with this new feature. Among the compatible ones is the Surface Go. 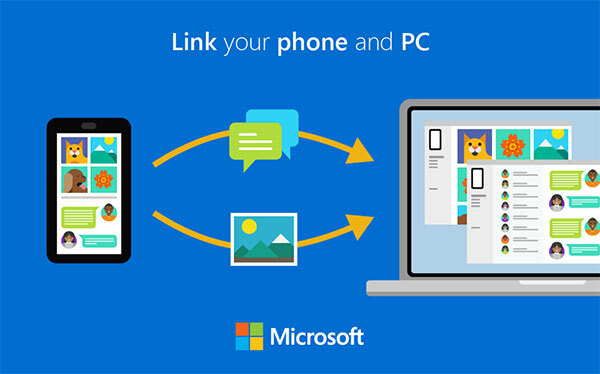 Microsoft has also limited the Android smartphone models compatible with this feature. Only the Samsung Galaxy S8, S8 Plus, S9 and S9 Plus models can be used during testing. The Redmond company has pointed out that over time it will increase the list of compatible devices. Screen mirroring is an intelligent way to bring mobile apps to PCs and for Windows 10 it is a very smart way to embrace the Android ecosystem even more. Microsoft is not the only company that tries to follow this path but their solution seems the most promising. Once the new app Your Phone will be ready to debut, it will also be available for older versions of Windows 10. So if on this side Google and Microsoft seem to be on the same page, who knows how things will go in gaming. The announcement by the great G of Stadia, a cloud system capable of running the best video games currently on the market on any device connected to the Internet, could be a real threat to the oligopoly currently composed of only three players in the market: Sony with Playstation, Nintendo with Switch and precisely Microsoft with Xbox. Stadia will be available in many countries around the world as early as this year. On the net, gamers and insiders are divided on the fate of this technological infrastructure. Some think that it will achieve the same success as Netflix in the field of films and TV series, while some others feel very skeptical, especially for connections still not up to the task in many countries in the world, even those most technologically developed but with network quality still uneven. A “gaming war” definitely will ensue while we wait for Microsoft and Sony to present their gaming machines heirs to Playstation 4 and Xbox One. Next: What Are The TVs To Buy At A Cheaper Price With More Features?